Lewiston, ME – Virginia A. (Goodrich) Campbell, 72, of Lewiston, died on Saturday, April 1, 2017 at Maine Medical Center, Portland after suffering a stroke. She was born on August 6, 1944 in Fairfield, ME a daughter of the late Iran “Ira” Armour and Annie (Quimby)Armour. Virginia was married seventeen years and was a stay at home during that time; after her divorce, she married two more times to both James “007” Bond(deceased) and Ivan Campbell of Lewiston. Virginia was an extremely social woman who enjoyed knitting blankets and scarves for the neighborhood children, going shopping at Wal-Mart, taking long rides in the country and caring for her dog Chavo. However, spending time with her family was her greatest joy. She was a loving, caring and free spirited person, who touched many people throughout her lifetime. She is survived by her children Darlene Alvarado of Lisbon, Patricia “Patty” Goodrich of Lewiston, Muriel “Meredith” Walton of Concord, NH, Elroy “Evan” “EJ” Pulkkinen of Lewiston and Ellen Armour of Lewiston and Elisha Armour of Lewiston. She also leaves her grandchildren Nicole Alvarado of Topsham, Serena Castonguay of Lewiston, Ezekiel and Isabella Graham of Lewiston as well as her great grandchildren Ethyn and Carter Alvarado of Topsham. 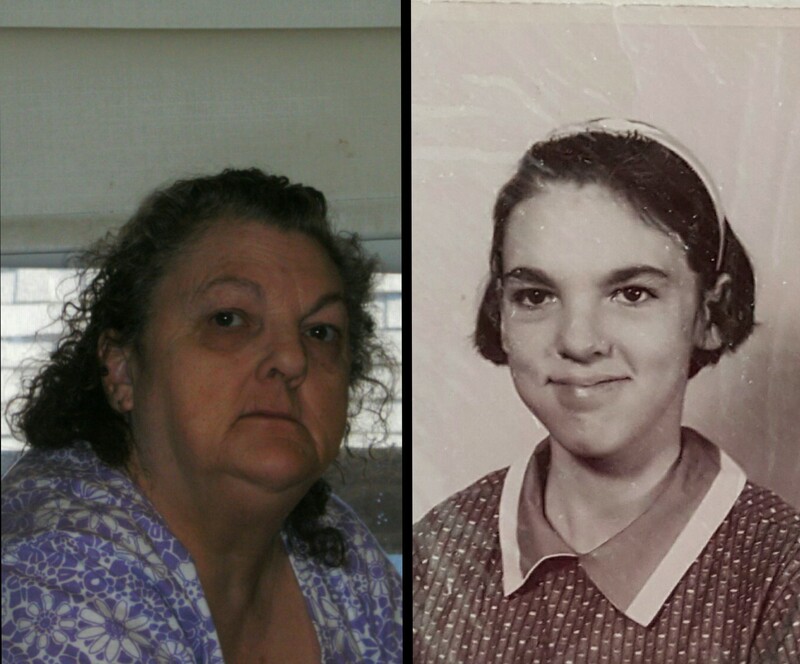 Her sister Carol M Armour of Clinton, Me. She was also the Mother of the late Virginia Goodrich, Sherry “Cheris” Zenowitz and Leroy “Sonny” Goodrich Jr. as well as the sister of the late Donald, Eugene and Sidney Armour and Christine L. Marin. The family wishes to extend their sincerest gratitude to the Maine Medical Center for all their support and care Virginia received until the very end. Thank you to all the doctors, nurses and staff.